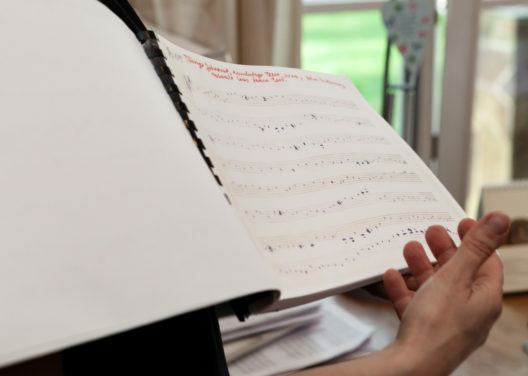 The Arvo Pärt Centre is happy to provide visitors with the information about Arvo Pärt’s work that is stored in the documents of the composer’s personal archive, and also to explain the context of his compositions. With this aim in mind, we organise guided tours of the building and educational programmes for students of different age so as to provide an introduction to Arvo Pärt’s music, his creative process, and his biographical background. The centre also hosts lectures on interesting discoveries in the manuscripts stored in our archive, thereby opening the story behind the creation of Arvo Pärt’s compositions and the texts that have inspired his works. We also provide guided listening sessions for Arvo Pärt’s music. Besides introducing Arvo Pärt’s work, we hope to inspire listeners to think along on a wide range of cultural topics at our open lectures and talks.